The Setting: The City of Stars (also known as Los Angeles, Hollywood, or even La La Land). 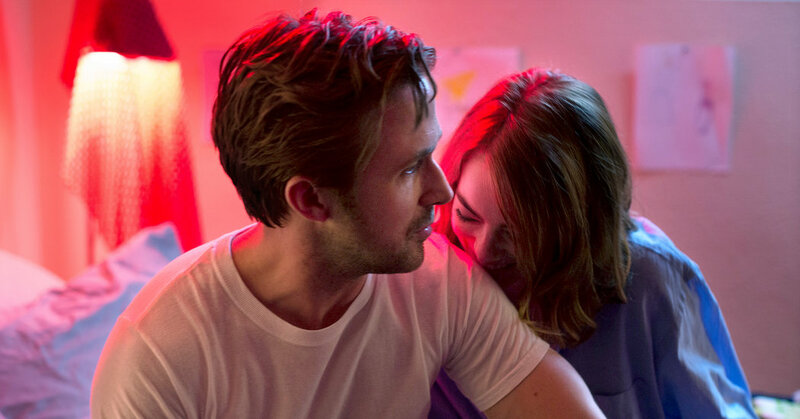 The Scene: Mia and Sebastian, played by Emma Stone and Ryan Gosling, dance across the cosmos in a thrilling musical number. They're young; they're in love. What could go wrong? Or, rather: Two people in Hollywood with show biz ambitions, what could go right? It's no secret that it's tough to make it big in entertainment. For Seb, that dream is opening up his own jazz club. For Mia, making it as an actress is her hopeful dream. But what, exactly, does it look like to try to "make it"? Mia isn't just a dreamer. She's also a hard worker. By day, she works as a barista in the Warner Brother's lot, making around $16,000 a year and $1,333 monthly. In the evenings, she is attending audition after audition, rehearsing tirelessly (including during traffic on the 405 in the opening dance number). By night, she is going to industry parties trying to fit in, trying to get noticed, and trying to find another person who sees her, sees her as something more than someone in the crowd. Meanwhile, she lives with three roommates, who also seemingly share the same dream (and sing and dance charmingly throughout, what one can only assume, is their rental). Dreams cost money though and so does housing. On average, Mia's portion of rent would be $1,500 in L.A. Did you know that rent in L.A. is so crazy expensive, it's hardly a city that can support struggling artists anymore? Falling in love with Sebastian isn't just good for her heart, her budget also benefits since splitting the rent on a one bedroom apartment with him means she was then paying closer to $1,150. She still has the payments on her infamous Prius ($250 monthly), car insurance payments ($164 monthly), and gas ($2.47 a gallon in L.A. currently). Don't forget headshots. Even though dirtbag directors flip through them too quickly or text instead of watching her audition, she needs them. Headshots range from $100 to $1,500 in Hollywood. Let's also assume that because of Mia's dedication to her craft, she's invested in coaching. Acting classes are between $120 and $270 for a round of courses, more if they were private lessons. Vocal training? $100 to $200 per private hour. Dance lessons? $100 each. And what about that one woman play Seb encourages her to write, produce, and act in? When it comes to renting a small theater in L.A., costs start at around $1,200 and go up to $3,000 and more a week. That's not to mention the cost of a small crew on a budget. What about the average date night with Sebastian? Surely, he isn't picking up the whole tab since his bills are overdue and he can't hold down a job as a pianist. (Not when they want him to play Christmas carols! He's got jazz in his blood!) The price of a movie ticket to see something like Rebel Without a Cause, just like Seb and Mia did? $12. Drinks and dancing? Roughly $35 dollars if they are going dutch. At the beginning of the movie, as she sings "Someone in the Crowd," with her three roommates, she is beginning at a deficit on her salary based on rent alone. When she moves in with Seb, she's left with $183 after rent (and without taxes pulled from her paycheck) which is still not to enough to cover all that her dream requires. What's actually more likely is that even as Mia and Sebastian dance through L.A. (or, you know, La La Land), they don't actually live there, but in the greater Los Angeles area, like Burbank. Maybe her parents are helping her out a bit too. Even outside the heart of Hollywood, this ambition is an expensive one in an expensive area. But, hey, let's also remember this: Mia becomes a big-time movie star. So, in her case, her investment pays off (but what she loses in love...we can't even go there). 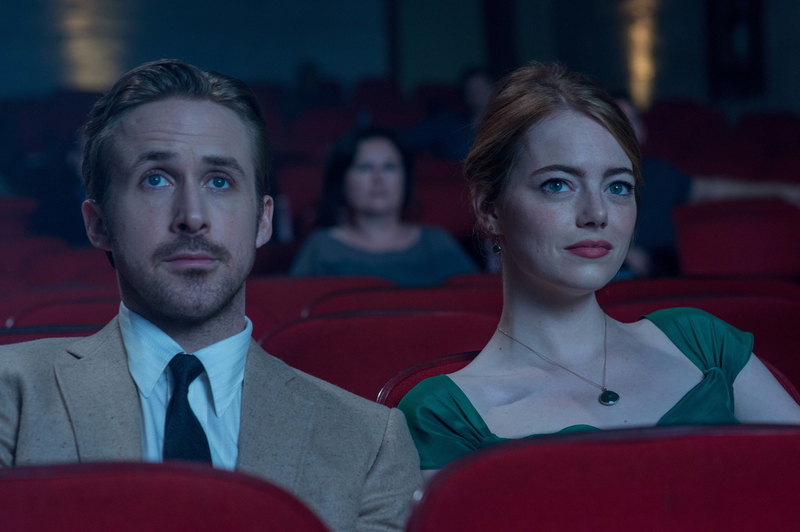 The real-life Mia, aka Emma Stone, has a reported net worth of about $8 million, and at the end of the movie, Sebastian also has a booming jazz club (and, presumably, not-too-shabby royalties from the success of The Messengers). So, for these folks, they may have ended up in the black — but it just goes to show that there's a lot of financial insecurity in getting there.